This is the month. It’s finally here. May is the time, with Memorial Day occupying the final Monday and giving boaters a three-day weekend to kick boating season into gear. Our advice, as always, is to have fun. What is boating if nobody is having fun? But, as always, we add the caveat to be safe. Now’s the time to begin prepping the boat for the season, if you haven’t begun to do it already. Dust off those checklists and get to work. Check the VHF, seacocks, flares, life jackets, life rafts, engine filters, oil and the myriad other items that are vital to a boat’s health and its occupants’ safety. 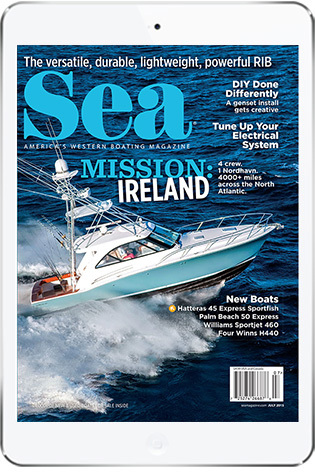 Anyone in doubt about his boat’s preparedness — or wanting to confirm its Coast Guard-readiness — should schedule a Vessel Safety Check through the Coast Guard Auxiliary. Those folks will give any boat the once-over and issue recommendations for getting it ready for an on-the-water Coast Guard inspection, should a boat be boarded. Visit cgaux.org/vsc/ for more info. On another safety-related note, May 20-26 is National Safe Boating Week, driven by the North American Safe Boating Campaign. Events such as Wear Your Life Jacket to Work Day will take place all week, as a way to remind boaters about the importance of practicing safe boating. Check out safeboatingcampaign.com to find out more or to take part. Even NOAA as gotten in on the Safe Boating Week action. The National Weather Service partnered with the National Safe Boating Council and will broadcast public service announcements on NOAA Weather Radio All Hazards. Topics will include Distress Beacons, Thunderstorm Safety, Boating Under the Influence and more. A different safety message will appear each day. Check out nws.noaa.gov/safeboating. 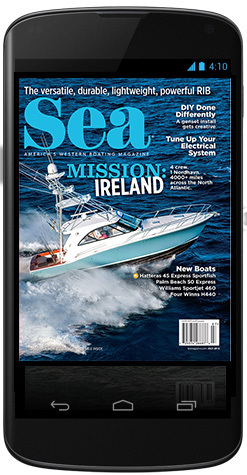 One more thing that ties into Safe Boating Week but will serve boaters through the season, however long it is in their location, is the U.S Coast Guard Mobile App (uscg.mil/mobile). 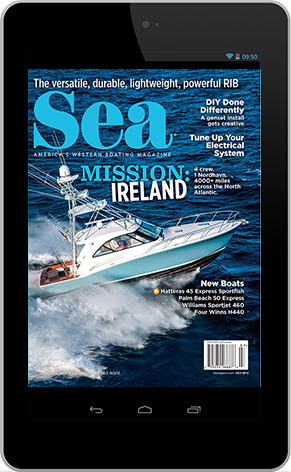 It’s free, created and supported by the nation’s recreational boating safety coordinator, and works on Android and Apple devices. Check out the list of included features: state boating information; a safety equipment checklist; free boating safety check requests; navigation rules; float plans; and calling features to report pollution or suspicious activity. Users who have location services enabled can receive the latest weather reports from the closest NOAA weather buoys, report the location of a hazard on the water and use the emergency assistance button, which will call the nearest Coast Guard command center. All in all, it’s easier to stay safe than ever, and connecting with authorities in the case of an emergency is push-button easy. So get out there and have fun.